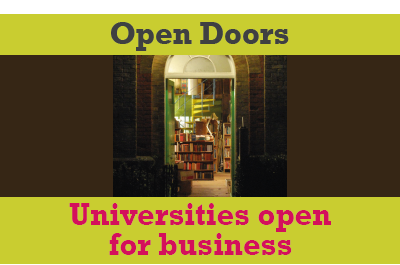 Open Doors is all about making it easier for businesses to find out how they can work with their local university. There is plenty of evidence to show that businesses working with universities brings huge benefits, to the business, the university, students, stronger research, job-ready and entrepreneurial graduates, better communities, and economic growth. Use the map below to find a University Business Centre near you. Read the case studies on the left-hand-side of the page to find out about some of the ways businesses and universities can collaborate.